Jürgen Klinsmann, head coach of the U.S. men's national soccer team, has become a household name after the United States' unprecedentedly strong run at the 2014 World Cup. Klinsmann's reputation is that of a maverick, of an unconventional leader who isn't afraid to challenge traditional notions of coaching, and who will breathe new life into foundering programs through sometimes unpopular but resoundingly successful new tactics. 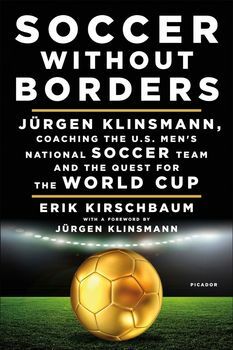 In this book, journalist Erik Kirschbaum lays out Klinsmann's vision for making the U.S. men's soccer team a dominant world power for the first time in its history. Featuring fascinating insights gleaned from Klinsmann's decades of dedicated study both as a professional striker and as coach of the German national team. This book is an immersive and unparalleled roadmap for how to build a winning team in the most competitive professional sport on the globe, as well as an infectious tribute to "the most beautiful game" by one of its most adroit students. The controversial U.S men's soccer coach reveals his thoughts on building a winning soccer team.